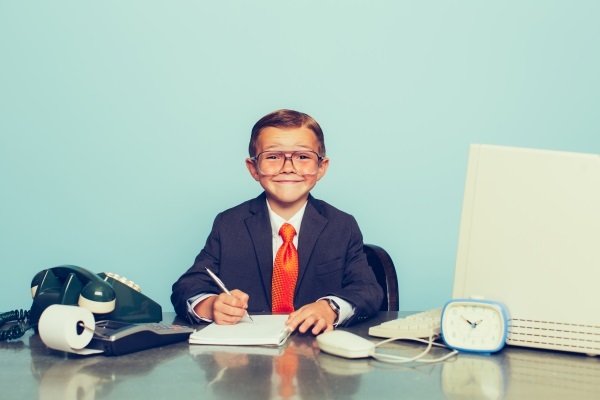 Pupil empowerment is something to actively embrace in schools but, Alex Masters argues, involving 11 year-olds in the interview process is a step too far. I still remember it vividly. It was my fourth teaching job interview and, I won’t lie, the nerves were really getting to me. After three previous, day-long interviews with mock lessons and intense rounds of questioning from the SLT (akin to The Apprentice) I was feeling rung out. So here I was: interview number four. Up to that point things seemed to have gone fairly well. I had just endured an hour-long ‘mock lesson’ on creative writing with a wonderfully engaged Year 8 class. I learned their names quickly; they looked like they enjoyed the lesson and (better still) I could prove they had made progress. At lunchtime the head of English told me that I’d made it to the second round, and that later that afternoon I was to have a panel interview with her, the headteacher and the deputy head. But there was one more hurdle I had to pass first: ‘The student interview panel’. The other remaining candidates (aged from early twenties to early fifties) and I were shuffled into an air-conditioned room, smiling sheepishly at each other. ‘How did your lesson go?’ one whispered to me. ‘Not bad, you?’ ‘Yeah, glad that bit’s over. Not looking forward to this though! ‘Me neither. Good luck!’ I love teachers. Even though we’re vying for the same job we still manage to be nice to each other. Then four uniformed pupils strode in, clipboards under their arms. They sat at the head of the table looking alarmingly confident. One of them tapped some papers officiously. Was this really happening? I remember feeling physically sick. Does she really think that? Imagine teaching a pupil who feels that kind of power over you. It can’t be right. We were then forced to endure 45 minutes of grilling as each of us in turn answered a range of questions from: ‘Why do you want this job?’ and ‘What are your favourite hobbies?’ to ‘Describe yourself in three words.’ We tried not to squirm during the silences as they nodded seriously and took notes. As the minutes passed I found my nausea turning to anger. My future, my ability to progress in my career, appears to be based on what a group of pre-teens think. Really? And even if they don’t have the final say, the fact that they believe they hold my future in their hands is just plain humiliating. The average interview process in any sector involves senior-level members, HR experts and other key team players. This makes sense: these are all experienced adults; they understand the intricacies of the role and the specific demands of a full-time job. Don’t get me wrong: pupils are inspiring, intelligent, surprising and I love working with them. But they are not employers! Ultimately, someone who doesn’t even have the legal right to drive, buy fireworks or (in some cases) even watch a Harry Potter film shouldn't have the power to determine my future. And I’m not alone. According to the NASWUT union, this type of interview system is being ‘abused’ in many schools and teachers are feeling deeply humiliated. There are reports of candidates being asked ‘Do you like children?’ and requested to sing their favourite song. Worse still are stories of pupils favouring candidates who had brought in balloons, chocolate cake or a digeridoo. One candidate explained how he was 'interviewed' by a panel of five pupils. He got the job, but during his first year he taught three of them. ‘These pupils turned out to be poor behavers and low achievers who were being given these positions of responsibility as a motivational and self-esteem boost. One of them actually said to me: “If I'd known I wasn't going to like you in the interview I would have chosen one of the other teachers, but one of them looked like Humpty Dumpty so I didn't pick him. "’ I’m speechless. As Chris Keates, NASUWT general secretary, put it, reports like these make for ‘distressing and disturbing reading’. He said that ‘the dossier is littered with examples of demeaning, embarrassing and humiliating practice. Teachers need to feel confident and empowered to act with the authority. I feel strongly that school children need freedom and empowerment; they need to feel respected and given choices. There are plenty of ways to achieve this in the classroom but, when it comes to the interview process, that door should be firmly closed. Do you have experience of pupil panel interviews? Were you asked to tap dance or build a spaghetti tower? Let us know in the comments below.